Lords of the 7Cs | Tha 144000 | Online Conscious Community: CARRY ON! AKON'S TRAVEL TIPS FOR AFRICA, BRAZIL, SPAIN & MOOR! TOP 7 DESTINATIONS! CARRY ON! 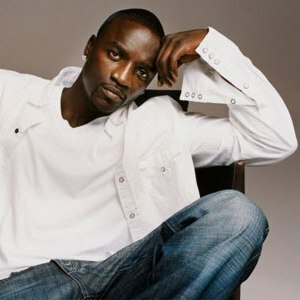 AKON'S TRAVEL TIPS FOR AFRICA, BRAZIL, SPAIN & MOOR! TOP 7 DESTINATIONS! What’s it like being a $20 million dollar man… particularly when that’s per year? Just ask international superstar Akon, who made Forbes 2009 list of Hip Hop Cash Kings alongside 50 Cent at #4, just a few notches above his slot at #12 in 2008. Of course, that $20 million is most likely underestimated, as this dynamic Senegalese-American entrepreneur is involved with everything from fashion to diamond mines worldwide. Considering Akon is on a plane most of his life these days, who better to share the world’s optimal travel destinations to visit? During promotion time for his fourth studio album Akonic, UrbLife.com asked the 30-something star to fill us in on how we can best fill up our passports! In fact, the only way you might know his real age is to see his passport! Ha! Read on, and start making plans for your next dream vacation! When I’m on vacation, Malta is one of the greatest places I always wanted to be. I would literally have a vacation home there. I always feel like the water is so clean and pure. It’s a mixture of Rome, the U.K. and France in one city, but with water. It’s the most amazing place ever, I’ve never seen a place so beautiful. I love Ibiza, it’s always the home and capital of dance music. You go out there and the parties last damn near 24 hours. You go to the club it starts at midnight, and you don’t leave until 8:00 am. That’s where the party animals go when they’re feeling that energy. I’ve always loved Antigua, in the Caribbean, going out yacht cruising and fishing and scuba diving. I love Rio De Janeiro, mainly I think it has to do with the women’s bodies. They’re stacking so heavy out there, I don’t even know if it’s real or fake because it looks so good. That’s the place you go if you want to have a lot of fun. If you get to a place where you’re extremely rich and you want to play polo, then Monaco is always a great place to go to. I’ve always loved Monaco and the whole south of France. You get the Miami feel, but in Europe. The networking opportunities are amazing too. I don’t know anyone who’s been to Monaco that hasn’t really enjoyed themselves on another level like that. A lot of people haven’t been to certain areas, but if you’re going out to the Middle East, Dubai and Abu Dhabi… you’d never think you would fit in the Middle East, but it’s ridiculous the way they’re building up that place. They literally built a man-made lake in the middle of the desert and it looks like the ocean. They will make it snow out there in the winter just to show you it could be done. They don’t pull any punches! They spend billions of dollars creating attractions just so you can come back. We’re in the middle of the desert where it’s 105 degrees, I walk in the mall and see a ski ramp. That’s bananas! I was just talking to Whoo Kid and he was like, “I’m on my way to Dubai.” That’s crazy! I love Bahrain because I love cars. Whenever they’ve got the speedway going on, I love to go out there and watch all of those race cars go all over the place. They’re really in tune with what the rest of the world is interested in. It’s amazing how the Middle East has grown and become so vibrant in terms of entertaining their visitors. Of course they have strict rules because of the Islamic religion, but otherwise you can have an amazing time over there. What’s a key piece of advice you would give to someone traveling to all of these different countries? Be open-minded. Go out there with an open mind, because a lot of the time people go out there with these perceptions and it hinders them from having fun. If you listen to everything they tell you about the Middle East, you won’t even be able to go out there and see how beautiful it is, and how friendly the people are. Half of these things on CNN are so weird, I go out to these places like, “What are they talking about?” It’s so peaceful, the people are so incredible and the food is amazing, it’s like the craziest thing! Go visit for yourself, just to get the experience.